As the snow disappears and weather warms up in the colder regions of America, the thaw of spring marks the best time to sell a house in many markets. HomeLight data shows Chicago, IL sellers coming off that Midwest winter could fetch up to 7% more on their home by listing in the opportune month of April. Meanwhile, homeowners in Arlington, VA, can take advantage of homes selling 7.2 days faster than the yearly average during cherry-blossom season. But as buyers come out of the woodwork in droves, they’ll be on the hunt for a property in great condition, not just any old home. If you want to stand out against all the other houses with a for-sale sign going up during peak selling season, you’ll need this spring home maintenance checklist that’ll target and fix the damage winter left like a bad hangover. We spoke to home maintenance professionals with years of experience and compiled our own seasonal home upkeep research to find the top 10 spring maintenance tasks that will help you sell your home fast and for the most money possible. “Appearances have a lot to do with selling your home—first impressions,” says Dee Dee Cortez, a top real estate agent in Corpus Christi and Kingsville, TX, who has been in the real estate business for more than 35 years. She emphasizes that spring maintenance is an essential step before putting your house on the market. Inspect the roof for leaks, broken shingles, and general wear and tear. Speed-clean the fireplace so it’s ready for inspection. Flush out and fix-up the gutters to prevent water damage. Trim overgrown trees hanging over the house and nourish dead patches on the lawn. Touch-up peeling paint on the home’s exterior and apply a fresh coat of a neutral color to interior walls. Power wash the siding to remove dirt, grime, and residue. Change out your air filters and inspect the HVAC to make sure it’s in good working condition. Give your plumbing a tune-up and check for pipe leaks. 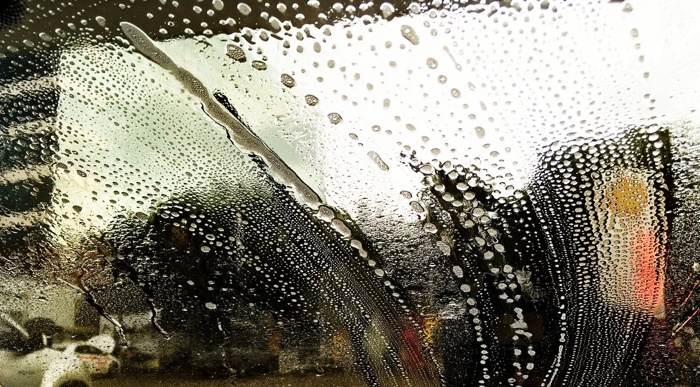 Wash your windows and repair window frame caulking and weather-stripping. Now, let’s dig into how to accomplish each task on the home maintenance checklist more in-depth and why taking care of these maintenance to-dos matters for a spring home sale. 1. Inspect the roof for leaks, broken shingles, and general wear and tear. The first element of the house you should inspect is the roof, which protects your home from the harshest of winters and takes a beating during wet seasons. Even if you don’t live in snow or ice-prone conditions, years of wear-and-tear and exposure call for a quick check-up. After all, a roof only lasts about 25 years, and once it hits that mark, you’ll need to get a second opinion from your real estate agent on whether it needs to be repaired or replaced before your house will sell. As a first step, examine the shingles for any missing pieces and mildew build-up, which can cause leaks and water damage in the house. You can either climb a ladder to look at it yourself or hire a professional roofer who can give you an expert take on what needs TLC and provide a price quote for any necessary repairs. While you’re up there, make sure the chimney isn’t cracked (or housing feathered friends) and that the skylight isn’t coated with dirt. Keep the roof and other roof-related items intact to avoid home inspection blunders. As one of the home’s most important features (it does provide shelter, after all) home buyers will want to know that they can rely on this roof for a long time. 2. Speed-clean the fireplace so it’s ready for inspection. If you were feeling the holiday spirit and roasting chestnuts on an open fire, take time this spring to clean and maintain the fireplace. 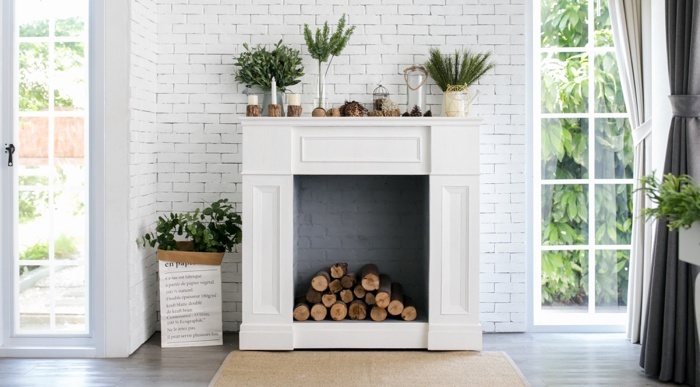 You can DIY clean the fireplace with dish soap and white vinegar, as guided by Bob Vila, an expert home improvement and repair advice site. If your fireplace is made with brick, invest in a heavy duty fireplace cleaner kit that includes a brush and cleaning solvent that can remove soot from bricks. To cover all your bases, hire a chimney cleaner to get to every dark crevice. A professional can spot damage and repair any issues on the spot. This step keeps the fireplace healthy and ready to use, which gives home buyers peace of mind. Home Advisor estimates the national average for fireplace maintenance and chimney sweep at around $228. 3. Flush out and fix-up the gutters to prevent water damage. With spring showers on the way, maintain a safe drainage system with the gutters and downspouts of the house. The National Association of Homebuilders (NAHB) recommends that you clean the gutters at least twice a year to avoid water damage. So, get started with the first round of cleaning this spring. First, arm yourself with a hose, garden gloves, and ladder. When you’re up there, scoop out decaying leaves, twigs, and dead critters. Clear out the gutters with a hose and check if they have any leaks. If you can’t set aside the time to accomplish this task yourself, hire a professional to do it for you. Hecox estimates $75-$150 to clean the gutters of a one-story home, or $200-$250 for a two-story home. 4. Trim overgrown trees hanging over the house and nourish any dead patches on the lawn. When it comes to selling a home, first impressions are everything. Your outdoor landscaping, the first feature home buyers will lay their eyes on, is often a make-or-break factor for passersby. Catch their interest from the moment they see your home with well-kept trees, shrubs, and greenery. Besides, a maintained lawn garners up to 300% ROI and can add up to 2% to your home’s value. It’s a fiscal and aesthetic investment to maintain your front lawn for the springtime. The NAHB recommends removing any debris from the winter, like dried or rotting foliage. “Make sure the trees are not hitting the roof, especially because you don’t want to damage your roof,” says Cortez. So, grab your cutter and start pruning the shrubs, trees, and anything else with excess dry branches and leaves. Then, shape up the lawn and look out for any brown and yellow spots. Spring is an optimal time to use fertilizer and you can decide when you want to put it on your lawn, either early or late spring. Popular Mechanics, a magazine dedicated to informing readers on tools and do-it-yourself projects, has a great guide on what kind of fertilizer you should use for your lawn. 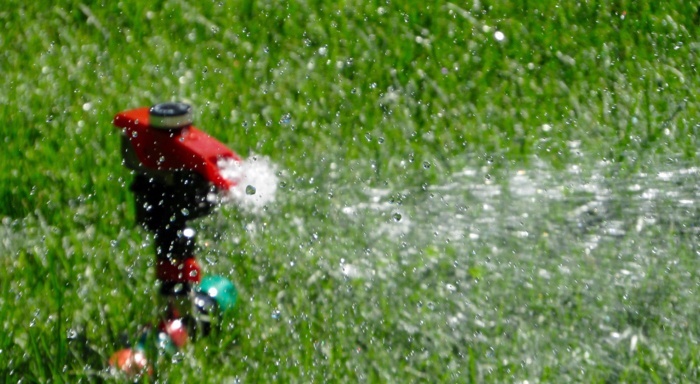 Then, check that your sprinklers are working well—after a long winter, it’s important to make sure that they still work so that you can properly irrigate the lawn for the spring and summer to keep it green and healthy. For final touches, plant low maintenance daylilies along your front lawn to add color and eye-candy for home buyers. 5. Touch-up peeling paint on the home’s exterior and apply a fresh coat of a neutral color to interior walls. Your exterior paint job keeps moisture from seeping into your house during the cold weather and prevents damage to its structural integrity. But, when the paint chips, it can lead to expensive repairs. And indoors, paint reduces dust, stains, and creates a cozy and personal atmosphere when you choose the right color. Cortez advises homeowners to take care of the paint both on the outside and inside of your home. “Because we had a hard winter and we had a lot of rain, the moisture stays there because the paint is already chipped, so it goes in between the paint and the board,” she says. This leads to rotten wood, which invites pests, mold, and additional problems. Chipped or peeling paint signals to home buyers an old and issue-prone house that they don’t want to spend the time repairing. Hire a reliable house painter to fix up parts of the exterior that you can’t reach or have time to paint yourself. Look out for the same paint issues inside your home, like the kitchen, bathrooms, and bedrooms. You might also want to repaint these rooms with a neutral color before you sell to make sure that they’ll match with every home buyer’s taste. 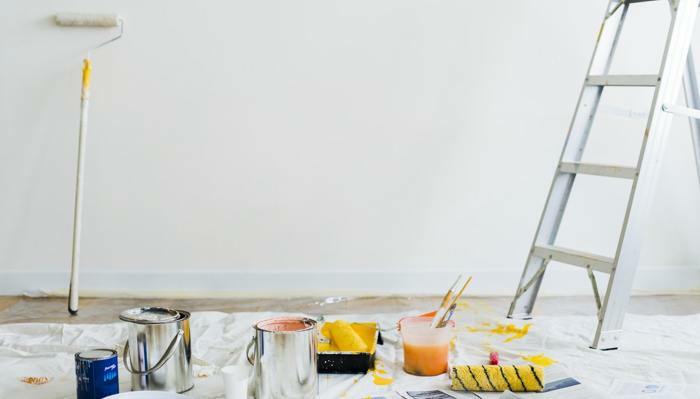 “Re-painting surfaces that are peeling or look dirty is a must,” says Jonathan Faccone, founder of Halo Homebuyers, a BBB-accredited company with an A rating. 6. Power wash the siding to remove dirt, grime, and residue. From rain, snow, and years of wear-and-tear, there’s no escaping the built-up residue and dirt on your house’s siding. But, before you break out the hose to pressure wash the exterior of the house, make sure you have the right washer nozzle and that the material of your home won’t crack under the pressure—literally. HomeLight provides a comprehensive guide to cleaning the exterior of your house, including siding, windows, and trim. Mix the trisodium phosphate with water and get to scrubbing. Start from the bottom and work your way to the top. Safety is your foremost concern, so if there are areas that you can’t reach without overexerting yourself, call a professional cleaner. On average and depending on square footage, it costs $281 to clean an entire house. 7. Change out your air filters and inspect the HVAC to make sure it’s in good working condition. 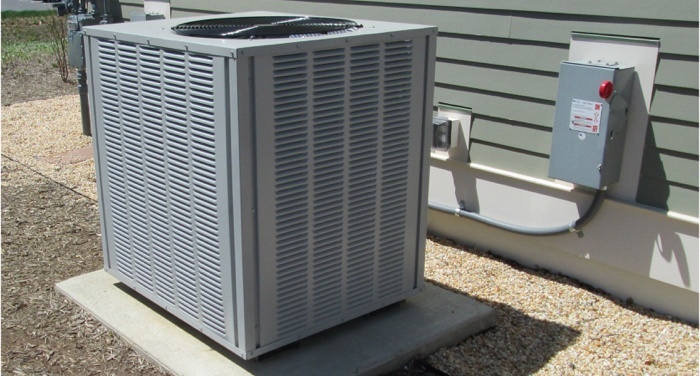 The heating, ventilation, and air conditioning system is what keeps the air in your home breathable and safe. And when 65% of home buyers view HVAC as the most important feature in their home search, you won’t get any offers with a broken AC and heater. After turning up the heater every night during the winter, you’ll want to make sure it’s still up and running when you sell the house. As a basic step in maintaining the HVAC, the National Home Service Contract Association advises homeowners to switch out air filters at least once a month. The International Association of Home Inspectors provides a thorough guide on how to change air filters, lowering monthly bills and keeping the air you breathe clean. HVAC systems last around 15 years and if it isn’t in working condition, find an HVAC professional to inspect the filters and insulation, which will help you avoid roadblocks when it comes time for the home inspection. 8. Give your plumbing a tune-up and check for pipe leaks. If your house has older plumbing, you’ll definitely want to check how your pipes survived through the winter and frost. There’s a reason why plumbers recommend homeowners to take extra measures in protecting pipes from freezing during the winter season. Doyle James, president of Mr. Rooter Plumbing, a Neighborly company, advises homeowners to inspect these five plumbing elements after the winter. Function: In every bathroom and kitchen, test the faucets and showerheads to see if they run both hot and cold water. Pressure: Make sure water pressure for all of these fixtures is running normally—low water pressure indicates deeper plumbing and leakage issues with your pipes. Drips: Listen for the slow drops that keep you up at night. “Drips are signs the house is experiencing leaks, which can add to your regular utility bill and also lead to expensive repairs,” says James. Corrosion and rust: Check the pipes under the sink and in the basement for discoloration. If the water runs anywhere from yellow to brown, the interiors of your pipes have rusted. Water stains: Watch out for stains along your ceilings, walls, and floors, and musty smells around the toilets and sinks. These indicate a long-term leak that needs attention and repair. The worst case scenario after a tough winter for your plumbing is a flooded basement from burst pipes that didn’t make it through the frost. Find a plumber who can give you a professional evaluation and inspection. 9. Wash your windows and repair window frame caulking and weather-stripping. 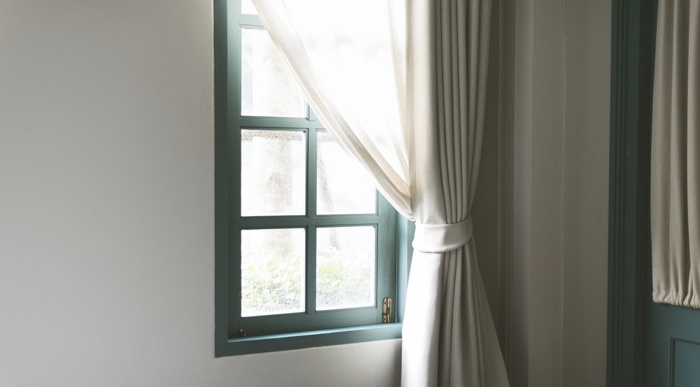 One of the easiest tasks for the spring is fixing up and cleaning the windows. Shut tight against the cold weather, your windows are probably covered with handprints from your kids and dirt streaks from the winter debris. Grab a towel, spritz some cleaning solution, and wipe away any stains and dust build-up. Another simple to-do is to check that the caulk and weather strips around the windows stayed intact after the winter. Energy.gov has a guide on the benefits of caulking for windows: it conserves energy and will protect your home from any spring shower leakage. 10. Watch out for termites! Termites are the bane of any home’s existence—they swarm in the spring, create mud channels to your home, and eat away at the structure of your house. These tiny but mighty pests cause more than $5 billion in home damages every year. A termite infestation is a major red flag to home buyers and home inspectors, who won’t let you sell your house until it’s addressed. Cortez mentions that there are two common types of termites to look out for: drywood termites and subterranean termites and both feed on wood from trees and your house. So, how can you prevent this from happening in the spring? Call a pest inspector the moment you see any white, winged insects in your home. Common types of termite prevention are liquid termiticides for barrier and soil treatment around the exterior of the house for baiting. Ask your pest inspector which kind is best for your home if or when there is an issue with termites. Last piece of advice Cortez has for home sellers in the spring? “Air out the home!” says Cortez. 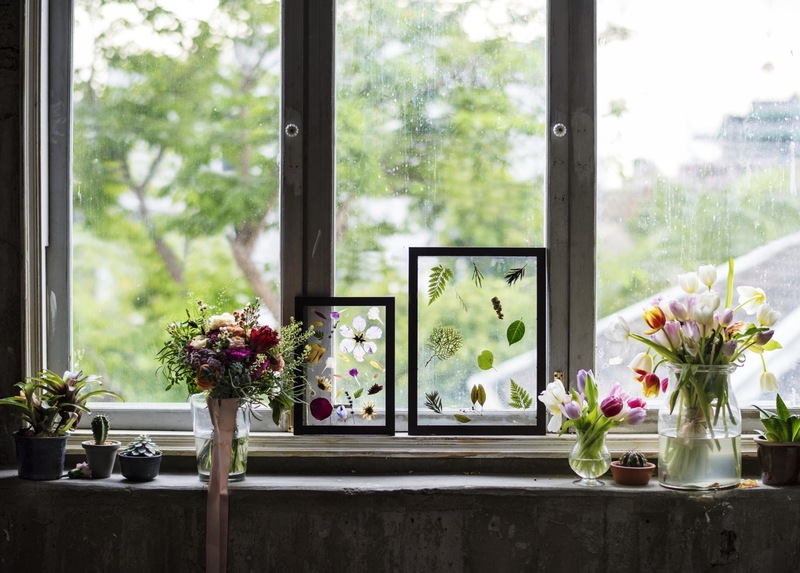 “It’s the best time for them to open the windows and air the home.” Let out the winter stuffiness and welcome the spring atmosphere to get home buyers in buying mood. 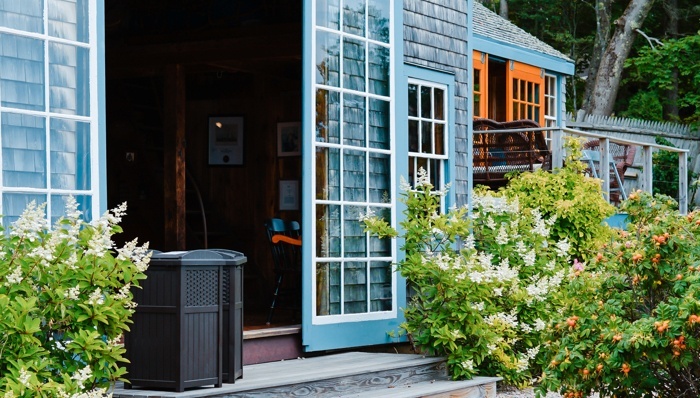 Tackle these to-dos and your home will be in tip-top shape and ready for the spring. Backed by maintenance experts and a top-selling agent, this checklist covers every nook and cranny and will make the selling process fast and clean. Before you call it good, though, talk to a top real estate agent in your area who knows your local codes and what buyers are looking for in your location. Though this checklist covers a lot of ground, every house and climate is different—so you’ll need expert advice from an agent to make sure you’ve hit every spring-related issue and that your house is truly ready to sell.